Microsoft Office is updated in so many ways. Depending on how soon you want to see these updates, you can receive only thoroughly tested features, or you can play with new ones. If you prefer the latter, then you may be wowed by the new update that shows up as part of their Office Insider Fast program. 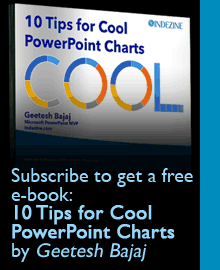 PowerPoint and many other Office programs can now insert and manipulate 3D models. Imagine inserting a 3D model on your slide–almost as if you were inserting a picture or a media clip! Office 365 Subscription: At this point in time, you need to be part of Office Insiders to get access to the 3D options, but this update will show up in coming weeks for all Office 365 subscribers. If most of these 3D formats sound alien to you, then just visit a site such as Turbosquid that provides an extensive number of free 3D models. You will have to be a member though to download the free 3D models too. Also, not everything on the Turbosquid site is free. 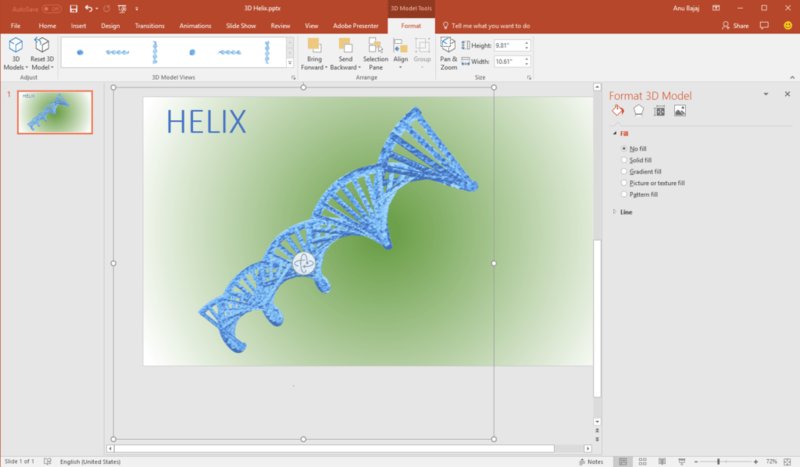 So I downloaded a basic 3D DNA Helix model as an OBJ file and placed it on a PowerPoint slide. Kudos to Microsoft that this worked seamlessly. You can grab the actual model using the 3D handle, and rotate it in 3D space. This takes a little time getting used to, but if you have used a 3D program before, then it seems to work in a similar way. You can access the contextual 3D Model Tools tab in the Ribbon that works similar to most of the other contextual Format tabs. Finally, you can right-click the model, and choose the Format 3D Model option to bring up a Task Pane of the same name.